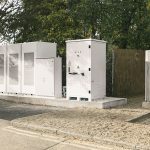 Battery storage is an incredibly flexible asset and we’re delighted to be working with Open Energi to ensure Arsenal receive the maximum benefits from this system. Open Energi’s track record of optimising and managing batteries speaks for itself and their insight and expertise has been invaluable in bringing this project to fruition. Dynamic Demand 2.0 will operate the BSS to allow Arsenal to avoid peak power prices, buying electricity when it is cheap and storing it for use when prices are high. It will also enable Arsenal to make money by using the BSS to provide a range of services that will support the UK’s transition to a low-carbon economy, providing flexible capacity that will help the electricity network accommodate more renewable generation and support the growth of clean technologies like electric vehicles and heat pumps. Pivot Power chose Open Energi’s Dynamic Demand 2.0 platform to manage the BSS for its proven ability to maximise benefits and battery lifetime. The technology will automatically trade and optimise the BSS in real-time against a combination of day-ahead, intra-day and real-time price signals whilst managing state of charge and limiting degradation. Operating a battery across multiple timeframes and markets requires careful management and constant evaluation of the cost-benefit of each action. Dynamic Demand 2.0 uses machine learning to automate and optimise battery performance second-by-second, delivering savings for businesses and clean, reliable flexibility to the grid. This project is a great example of how energy storage can enable a more sustainable energy future and put end users in control of how, when and from where they consume electricity. A further 1MW/1.2MWh of storage will be added in summer 2019.